Noel's Garden Blog: Transplanting myself, or is it uprooting? Transplanting myself, or is it uprooting? One of the last pictures I took at Montpelier Cottage. Late September. “I felt so shocked I shut the computer right away and could not get over the news ” wrote a friend when she read my email telling her that we were planning to move. It has of course been a very difficult decision, perhaps the most difficult of my life. So many people who come to visit or stay remark how lovely it is, not the garden so much as the setting (a shallow valley, with woods on one side and no sign of human habitation) or if they mean the garden it is clear that they mean it in its rural setting. “Paradise” is the word often used. So how can we bear to leave? Paradise of course is precisely that, a non-earthly place, where the garden-of-Eden maintenance was presumably done by angels, or some of the clouds of cherubs which infest Baroque churches. Earthly paradises are hard work. 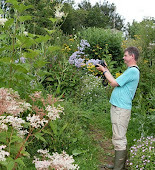 People have often wondered at how I have been able to juggle my varied, disparate and complex workload and garden. The answer is that I have been increasingly unable to; we have had a wonderful one-day-a-week gardener, Diana Sessarego, but I really needed more of her time to really achieve what I wanted, or someone else's, and we couldn't afford that. Back last June, I wrote a blog post which flagged up our moving plans. We have now made the painful wrench, renting the house to a friend until we decide what to do. We are in for a year of travelling - a trip to New Zealand and Australia, culminating in my doing a presentation for the biennial Australian landscape conference. The rest of the year, I will be in Portugal for much of the time, which indeed is where I am writing this. As flagged up in June, we are seriously considering moving ourselves here. “Life, and parties are best left too early than too late” is something that I read recently. I would add gardens. In my career of garden journalism, I have all too often visited gardens where the owners have clearly been unable to manage what they originally set out, or had simply over-extended themselves. I have usually found these quite depressing places. Reality unable to match the dream. Only rarely do gardens manage a dignified retreat. In truth, given my main focus being the naturalistic, I could probably do just this, and find it a very interesting and satisfying process. But I, or I should say we to include Jo, do not want to. 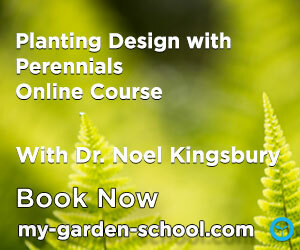 I am in many ways an experimental gardener, interested in how plants work, and work together. Once a certain point has been reached, things begin to plateau out: I feel as if I am learning less every year. I'd like to move on to new things. And new plants of course; there is always the plantsman-thrill of trying new plants and there is nothing like being in a new place for having to try new plants simply because of it being a different environment. At a time of changing climates and weird weather, it is important to learn more about drought, resilience to extremes, heat tolerance. Which is part of the thinking about spending some time in a Mediterranean climate. We've had friends round to dig plants up, particularly rarer varieties which I worry may be lost to commercial cultivation, apart from it just being nice to share plants. 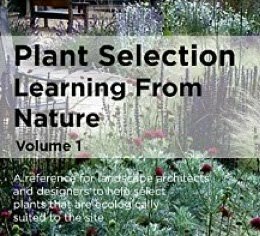 I've also been able to distribute plants for some research plots, versions of the plots I have had for the last seven years and which have been a great way to trial plant combinations and learn more about how plants survive and interact over time. That has been a very positive outcome of moving, and the idea of trying to recruit other gardeners into running trial plots as a way of documenting what we learn about plants is something which I think I may well devote quite a bit of time to over the next few years. Another reason for moving, or even forcing myself to move, is that staying in one place is actually quite limiting. One tries to grow Dicentra a few times, they fail every time, conclude that the soil is unsuitable and that's it, you don't try them again, so we never get to enjoy Dicentra or learn any more about it. Geranium endressii and its pink pals all grow like crazy in Herefordshire, that for me is 'the normal', and so much gardening has to revolve around how to manage or make the most of these plants; that they may not do so well elsewhere becomes a rather alien concept – but that will be the norm for others. Gardeners have traditionally very much been people who have stayed in one place, but as someone who has become a globally-orientated teacher of gardening and related skills, staying in one place has become to seem dangerously limiting. 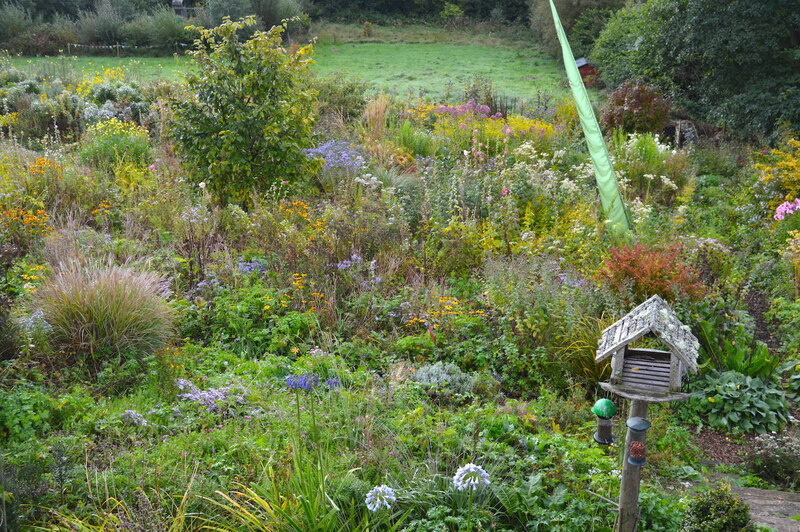 One of the biggest problems in garden writing I think has been the assumption that because it works for me, it must work for everybody, so that's what I'm going to recommend, and drone on about it all the magazine articles and books I write. This way we do not learn but spread self-centred myths. There is something to be said for getting down on hands and knees in lots of other peoples' gardens, appreciating how plants grow in many different places rather than endlessly in one's own. It sounds like I am arguing for a future rather peripatetic existence of poking around other peoples' gardens. For how long I would actually do this before succumbing to the inevitable temptation of wanting my own plot again I don't know. I suspect probably not that long. We shall just have to see. And yes, nothing in life stays the same, nor should it. Where are you going to in Portugal. Are you going permanent or to philosophize about the role of the Brits after Brexit. There are some Dutch people who live and have lived in Portugal. Ouch! I have been trying to catch up with my ever expanding garden for twenty years. It can be very depressing to witness unfulfilled intentions, and now as I approach my seventh decade I think, on the one hand I will have more time in retirement in a few years, and the other hand, when will my vigor decline to the point that even with more time I still can't keep up? Yet as another garden experimenter I am compelled to keep pushing with more and different plantings. I admire your decision. It seems right for you, and I look forword to your new insights, but as a less worldly person I think I will find no end of thrills in my garden as more and more pieces come together even as others remain unfulfilled.